For the first time in six years, the JKB is putting on a musical. Cabaret, directed by John Michael DiResta, promises to be a wild ride, exploring politics, music, and sexuality in Berlin in 1929. Based on the semi-autobiographical novel Goodbye to Berlin, by Christopher Isherwood, the show revolves around the Kit Kat Klub, a nightclub with cabaret performances, and the relationships that unfold there amidst the backdrop of the rise of the Nazi party. 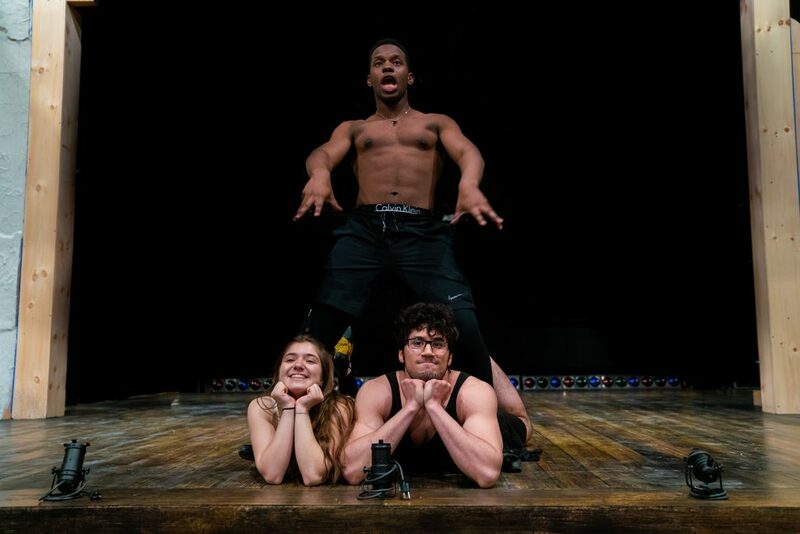 The experience of putting on a musical is new to many in the Skidmore Theater community, and one of the positive consequences of doing a different kind of show is that it has provided an opportunity for many talented newcomers to the theater to shine. I had the opportunity to interview two actors and one member of the orchestra from Cabaret who are performing in the JKB for the first time. I met up with Pat McDevitt in the lobby of the JKB, and then we walked over to the library together to sit down and talk. As we walked, we chatted about his first year at Skidmore so far. McDevitt is an intended business major with a music minor and is heavily involved in the vocal music scene at Skidmore. He sings with the Bandersnatchers a capella group and takes voice lessons, and a highlight of his first semester was singing with the Skidmore Chorus. When we sat down to talk, I asked him what prompted him to audition for the first time, and his answer was his love of singing. Acting is not his primary interest–as he put it, “it’s not what I go out to do”– but McDevitt has a background in musical theater due to his focus on vocal performance and dance. Before coming to Skidmore, he participated in musicals at his high school and performed in community theater for two years. Barrett spoke candidly with me about the dedication it takes for her to balance participating in the orchestra with the rest of her life at Skidmore. “I love playing music, and I often go to the drum practice rooms anyway, to just play for fun, but the amount of music is substantial that I had to learn in a short period of time,” she said, continuing, “It’s been difficult learning how to balance a 19 credit schedule, because Cabaret pushed my schedule from 18 to 19 credits, so it’s been a challenge… but it’s been enjoyable.” Unlike the actors, who have had many nights of rehearsals, the orchestra meets for only six rehearsals before opening night. This means that members of the orchestra, including Barrett, must put in many hours of independent practice to learn the music in the few weeks before the show. Putting on Cabaret has demanded intensive collaboration, dedication, and effort from everyone in the cast and crew. The result is an invigorating, challenging show, and audience members will no doubt make connections from historical events depicted to our social and political climate today. Of course, they can also look forward to enjoying several hours of energetic song and dance from some of Skidmore’s most talented artists. Cabaret runs from April 12 – 14 and 18 – 20. Tickets can be purchased on the Theater Department website, and cost $12 general admission and $8 for students and seniors. If you need assistance with reservations, please contact the box office by emailing boxoffice@skidmore.edu or calling (518) 580-5439. Basil Lilien is a Senior staff writer at the Living Newsletter.